The disaster stunned Jennings, and it took him several years to regain his momentum. But his time with Holly had been pivotal: "Mainly what I learned from Buddy," Jennings recalled, "was an attitude. He loved music, and he taught me that it shouldn't have any barriers to it." After working West Texas radio again, Jennings began performing at a bar called J. D.'s in Phoenix, Ariz. 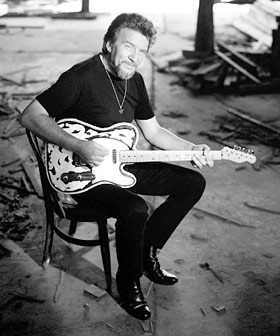 There he began to craft a sound that combined his aggressive Telecaster electric guitar style, his rough-edged vocals, and an eclectic repertoire that often borrowed from rockabilly, rock and folk. And it was there that Nashville-based Bobby Bare, then a country hitmaker for RCA Records, heard Jennings and immediately called RCA producer Chet Atkins. Although Jennings had already recorded some country-folk sides for A&M Records in Los Angeles, A&M agreed to let Atkins sign him, and his first RCA session took place in March 1965. 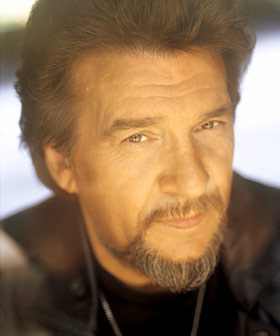 Over the next five years, Jennings won mainstream country stardom with hits like "Only Daddy That'll Walk the Line," "Brown Eyed Handsome Man" and "The Taker." Though it wasn't typical of his work, his rendition of "MacArthur Park" (recorded with the Kimberlys), won a 1969 Grammy for Best Country Performance by a Duo or Group. Despite his achievements, the high-spirited Jennings chafed under Nashville's typical production process, in which salaried staff producers chose song material and session musicians and recorded artists in company studios. Gradually he won the right to choose his own songs, producers, and sidemen (often his road band), in the process turning out albums like 1973's Lonesome, On'ry and Mean and Honky Tonk Heroes, which showcased the hard-hitting, stripped-down music he much preferred to pop-tinged Nashville Sound productions. Hit singles such as "I'm a Ramblin' Man" and "Are You Sure Hank Done It This Way" also exemplified his hard-charging, rock-influenced style. In 1975 he won CMA's male vocalist of the year award. As the '70s progressed, Jennings and Nelson recorded duet albums and crossover hits like "Luckenbach, Texas" and "Mammas Don't Let Your Babies Grow Up to Be Cowboys," which won a 1978 Grammy for Best Country Vocal Performance by a Duo or Group. Jennings himself rode high on the charts into the late 1980s, chalking up No. 1 singles including "I've Always Been Crazy," "Amanda," "I Ain't Living Long Like This" and "Lucille (You Won't Do Your Daddy's Will)." During many of these same years, the TV series The Dukes of Hazzard --- for which Jennings wrote and sang the theme song and served as offscreen narrator --- further popularized his sound and the trademark image of his leather-covered guitar. The singer continued a scaled-down but no less creative career, recording for MCA and Epic during the late 1980s and early 1990s, and touring into 1997. With Willie Nelson, Johnny Cash, and Kris Kristofferson, Jennings gained another No. 1 smash with 1985's "Highwayman," title cut for a gold-selling Columbia album. (The foursome recorded two follow-up albums and also made limited concert tours.) In addition to important albums reissued by RCA and by Buddha Records, he recorded new albums for RCA, Ark 21 Records, and a children's album titled Cowboys, Sisters, Rascals, and Dirt (Sony Wonder, 1993). Other achievements include motion picture and TV movie roles and a televised documentary on cowboys aired on TNN. 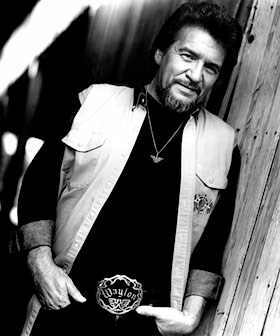 Jennings won election to the Country Music Hall of Fame in 2001 and died on February 13, 2002. He is survived by his wife, Jessi Colter, and their son, Waylon Albright "Shooter" Jennings; Colter's daughter, Jennifer; and five children from Jennings' previous marriages: Terry, Tomi Lynn, Julie, Deana and Buddy. Jennings' rugged individualism and musical vision continue to inspire both seasoned veterans and young, aspiring artists.